We already know that toxic mold can be linked to many diseases, but we might be adding Multiple Sclerosis to the list. People who live and work on Treasure Island in San Francisco Bay are complaining about mold in the old buildings on the Navy Base. We didn't get any snow here in Southern California, but we sure read about a lot of the stuff in other parts of the country. The Polar Vortex and big snowfalls mean a lot of water during the spring thaw and floods are expected. Floods = mold risk. They also mean a lot of pollen released in a very short time. Are you a wine drinker? A college in Florida is trying to make wine healthier by eliminating a cancer-causing mold in crushed grapes. 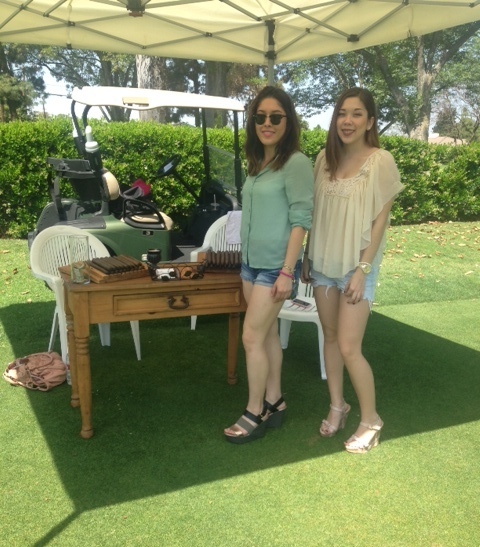 We are receiving lots of photos from the Golf Tournament so keep your eyes open for a fun slideshow on Wednesday! The weather is perfect and so are the people! We can't wait to hear all about it! And we hope you had a lovely weekend, however you celebrate!